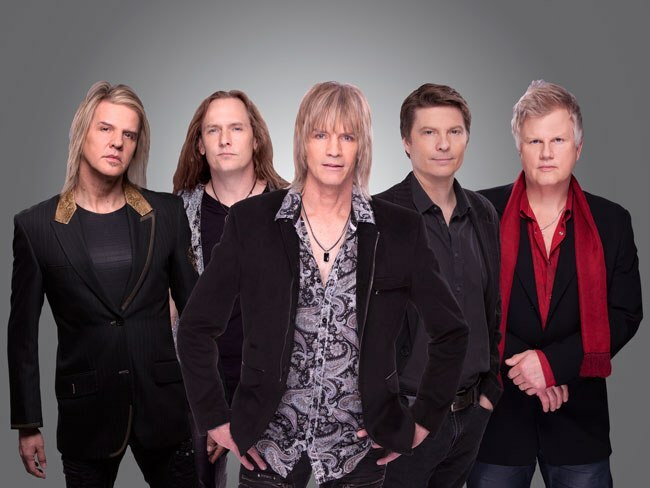 Bostyx Blows the Roof Off the Cerritos Center | Love Productions Inc.
My two favorite bands growing up in the 70’s and 80’s was Styx and Boston. Styx mega albums Grand Illusion, followed by Paradise Theater, contained some of my favorite songs that, to this day, I still love to hear. Although recording less albums, Boston favorites were the self-titled 1976 album Boston followed two years later by Don’t Look Back. That’s why I became intrigued when I heard of the band called the BOSTYX, who play both Boston and Styx songs, playing at the Cerritos Center for the Performing Arts last Saturday; and I was not disappointed. The band blew the lid off the famed and beautiful venue playing an eclectic list of songs from both bands that had the whole house dancing in the aisles.